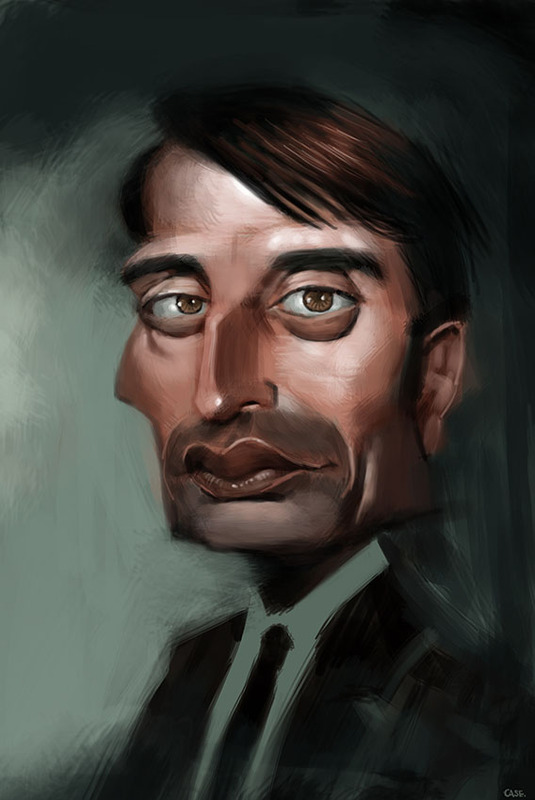 Mads Mikkelsen caricature. He's a great face. I haven't seen any of Hannibal but I've always liked this guy whenever I've seen him in a flick. No doubt he's great in Hannibal.